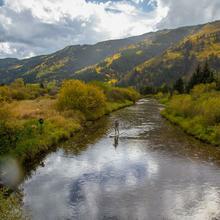 Aspen and the Roaring Fork Valley have spectacular fly-fishing with 45 miles of Gold Medal waters, the largest stretch of Colorado’s 165 miles of Gold Medal waters. 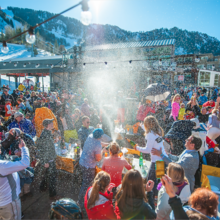 Once winter starts to fade away and spring begins to bloom, it’s nearly time to hang up those skis and pick up a new sport. 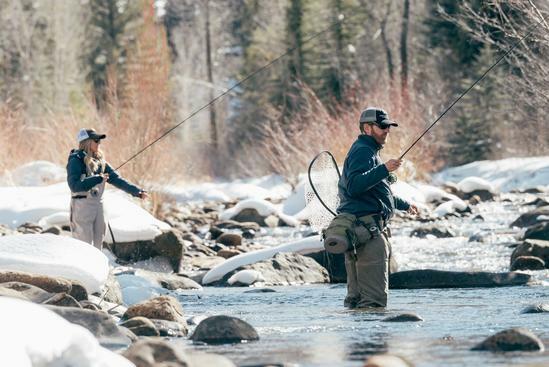 We caught up with Aspen Outfitting Company owner and Aspen native Jarrod Hollinger to find out why spring is the best season to go fly fishing in Aspen. The midge (Culicodies impunctatus) hatches that have occurred sporadically throughout the winter intensify in late February, and continue through March, and April. Beautiful little mayflies like the Blue Winged Olive (Serratella ignita) hatch in March, April and May. Small dark stoneflies (various species from the Plecoptera family) start to hatch in the spring as well. The fish are on fire, too! 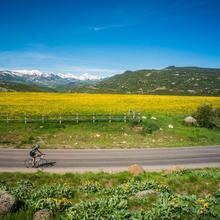 Ajax Tavern and Cloud 9 aren’t the only place you’ll see signs of spring fever in Aspen. The marked increase in insect activity is perfectly timed to help the local rainbow and cutthroat trout get ready for their spring spawn. Spawning trout need to be in peak physical condition. 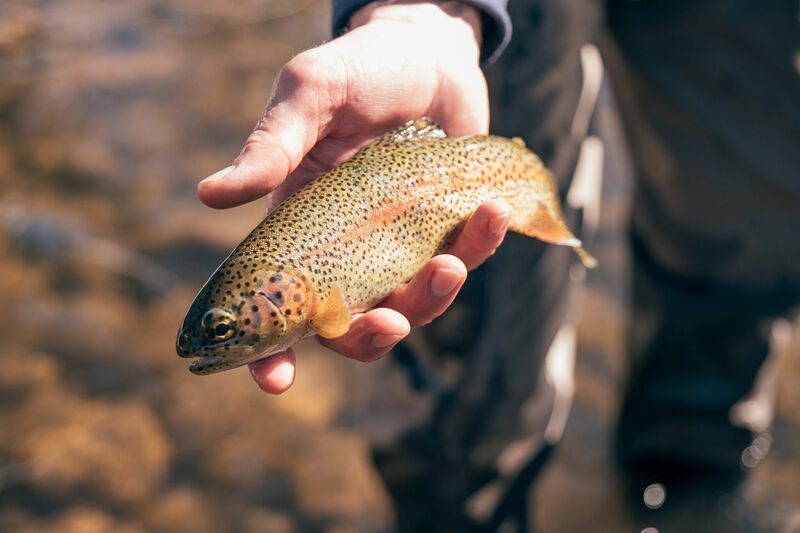 That being the case, our local rainbows and cutthroat will feed very aggressively to make up for lost calories after the long, cold winter. Once the spawn starts, our guides are extremely careful to point out and avoid the spawning areas (also known as ‘redds’). Disturbing trout on their redds is dangerous to spawning fish and can compromise the strength of future trout populations. Fishing to spawning fish is considered unsportsmanlike, and transgressors are aggressively chastised. Nonetheless, the brown trout are known to feed down-stream of rainbow spawning areas, focusing on wayward eggs that drift outside of the redds. For the delicate and discerning angler, this can be a great time to catch large, brightly colored browns that are otherwise very selective and difficult to fool. Once the spring spawn is over, the rainbows and cutthroat are back to feeding aggressively, as they try to make up for calories expended on the redds. It’s always fun to learn something new. 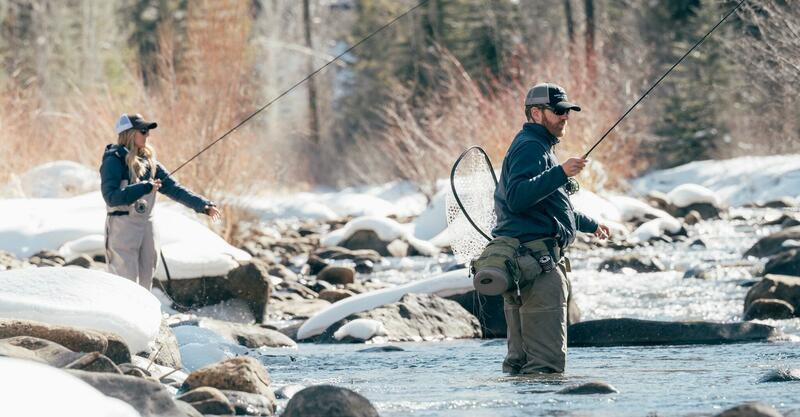 Spring in Aspen means hungry trout with lots to eat. The fishing is active, and that makes for a perfect setting to learn. The best way for a beginner to start learning is a half-day (4 hour) guided outing in the middle part of the day. You’ll love it! Come as you are - we provide all the necessary equipment, as well as a veteran guide with the basic curriculum to get you from never-ever to hooking fish. Try multiple half-days over the course of your stay, and you’ll be well on your way. 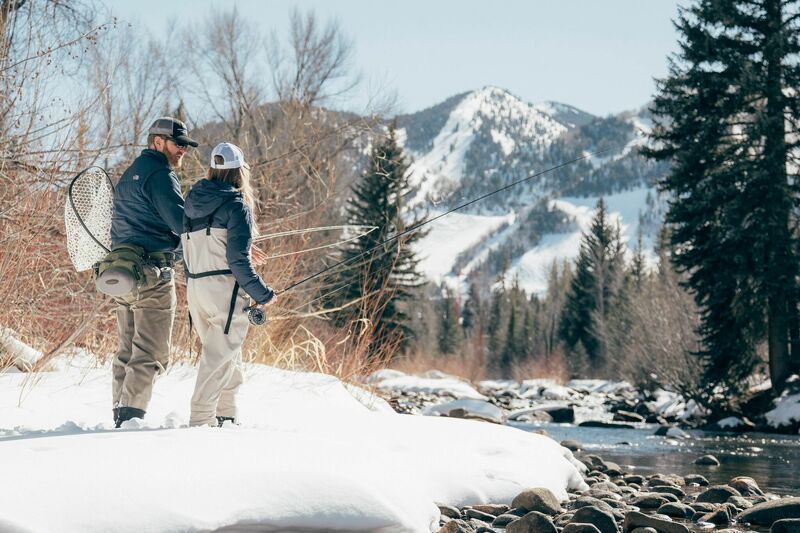 In addition to guided fly fishing trips, Aspen Outfitting Company also offers clay target shooting activities for individuals of all experience levels, as well as wild and released bird hunting. Aspen Outfitting Company is located inside the St. Regis Aspen Resort at 315 E. Dean St. The gift shop sells clothing for both men and women, handmade leather goods, jewelry, cigars and more. 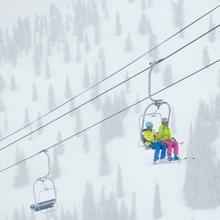 Check out some of their latest adventures here.